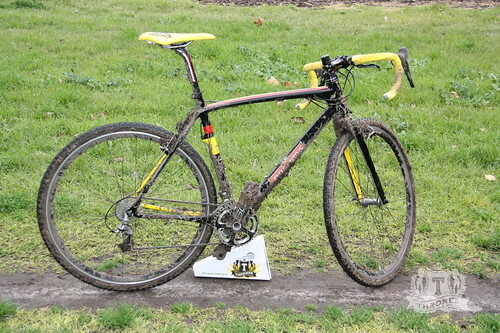 What’s better than a nice, clean, spanking new bike? 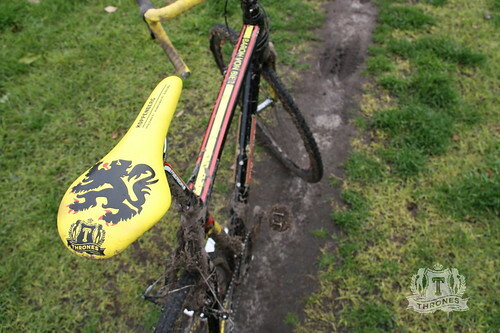 Well quite simply the only thing better than all of the above is a bike that has been soiled and thrashed to within an inch of its life. 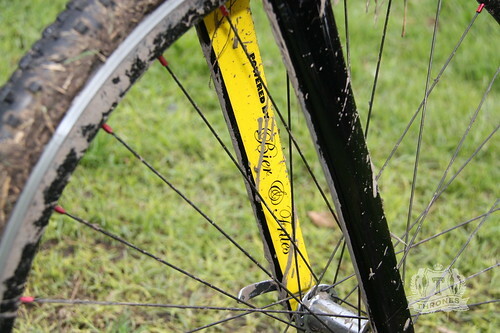 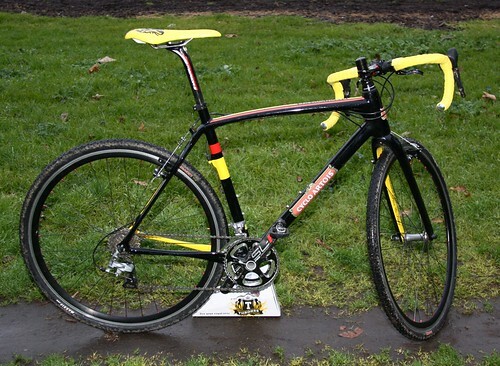 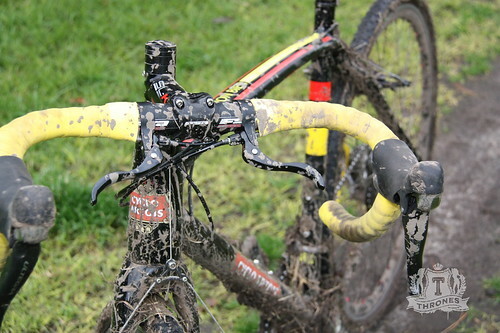 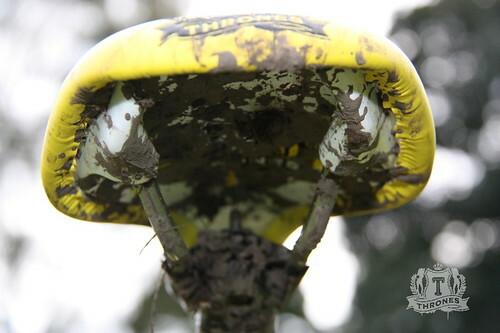 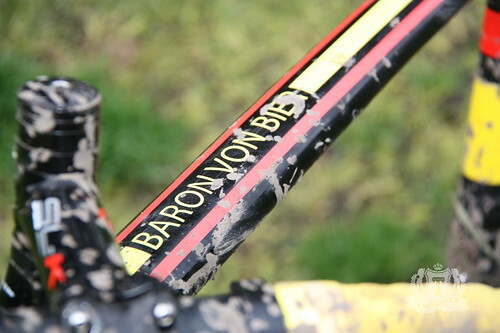 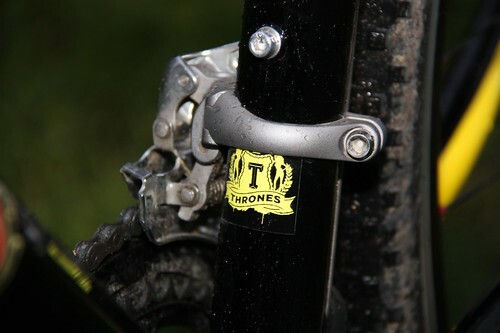 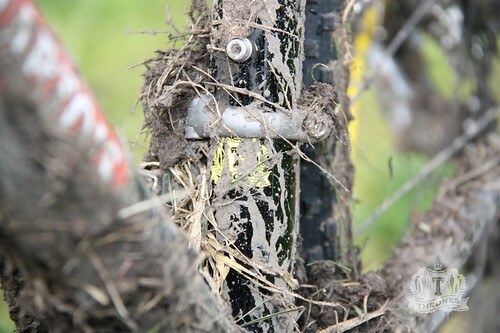 The Thrones Cyclo Artois Team CX bike got a great thrashing on the weekend over the Dirty Deeds Cyclocross course in Jackson Reserve in Round 2 of the series. 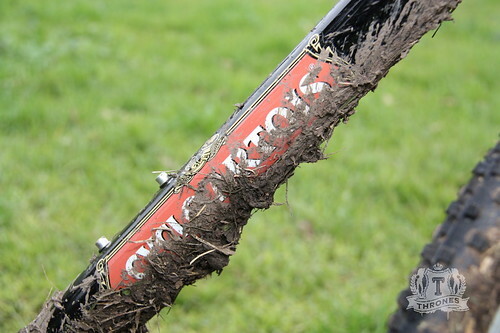 Special thanks to the Dirty Deeds/Brunswick Cycling club guys for putting together a cracking race and getting people out on their bikes in the cold, wet mud in Melbourne winter. 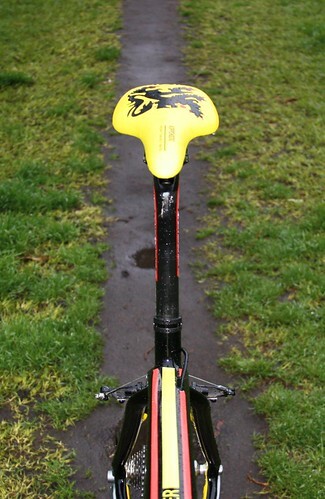 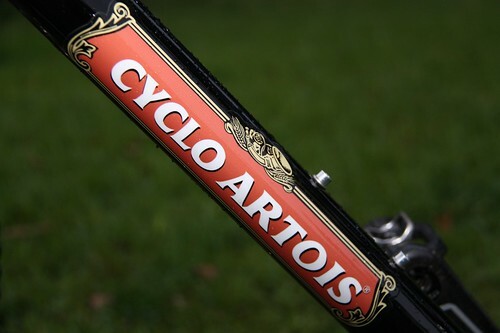 The new Thrones Cyclo Artois team edition is finally ready. 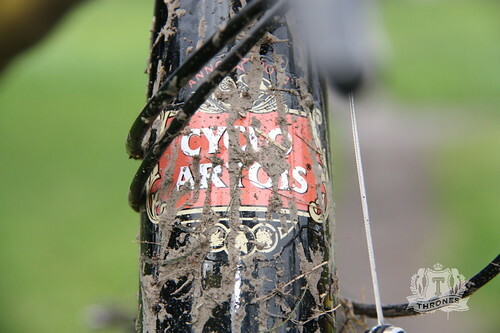 Built for the love of getting cold, wet and muddy through the hard season and finishing the day with some bier and frites with aioli. 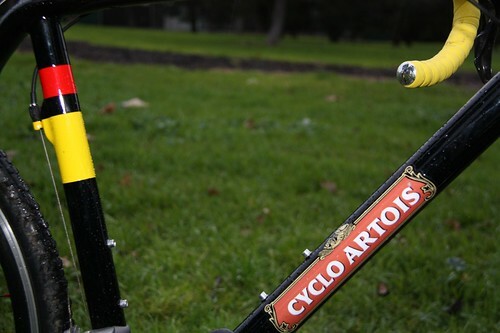 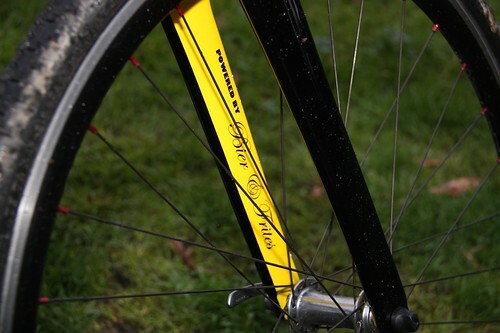 The Cyclo Artois bike looks good enough to drink and is rich in heritage since way back in 2011. 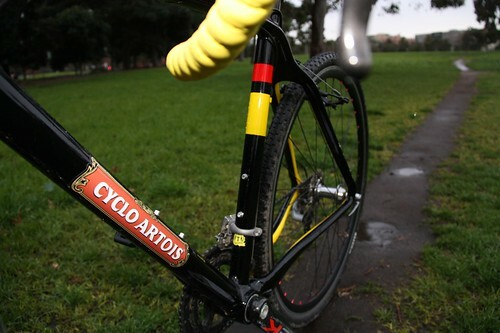 The team is rumoured to be started by a group of monks that live off a select diet of home brew and frites. 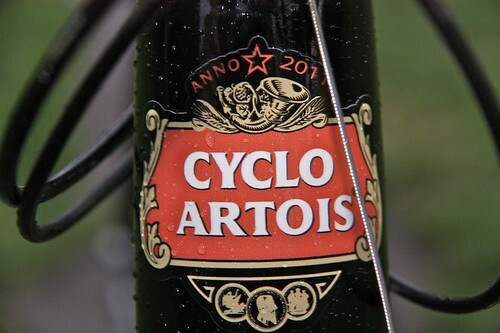 They are currently working on a new bier recipe that is ideally suited for drinking from their bidon during the race – light on the gas so they can slam it down while they are heaving their bike up the hill on their shoulder, but strong enough to keep them warm on the coldest of days. 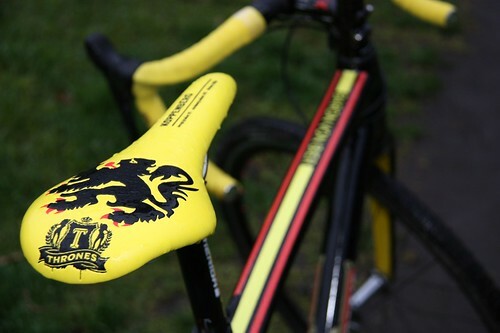 They ride for the love of drinking and drink in honor of Baron Von Bier.